We carried out an installation in this recently renovated Edwardian property for an owner who had recently carried out a renovation. The shutters were to be one of the finishing touches to make this home stand out inside the rooms and externally! 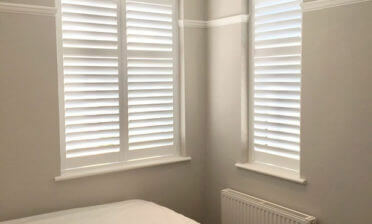 As you can see we carried out design and installation of these shutters for multiple rooms throughout the property. 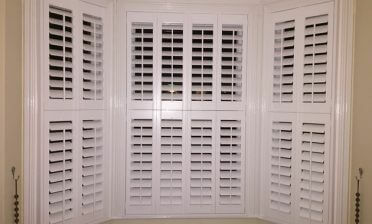 The shutters were created using Tier on Tier Shutters which are the most flexible solution we have when it comes to adjustment of light and privacy. Much like our Full Height Shutters but with the added benefit of a split commonly in the centre of the shutter panels, allowing for individual opening of all panels as well as adjustment. 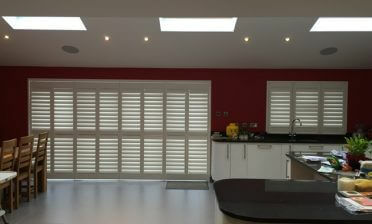 The shutters were built from our Fiji Range. We used narrow panels combined with a bifold system which allows for the shutters to be quickly and easily moved to the side, with the split in the shutters lined up perfectly with the window pane lines. The bifold system also allows for the shutters to be less intrusive when opened creating a feeling of more space in the rooms. 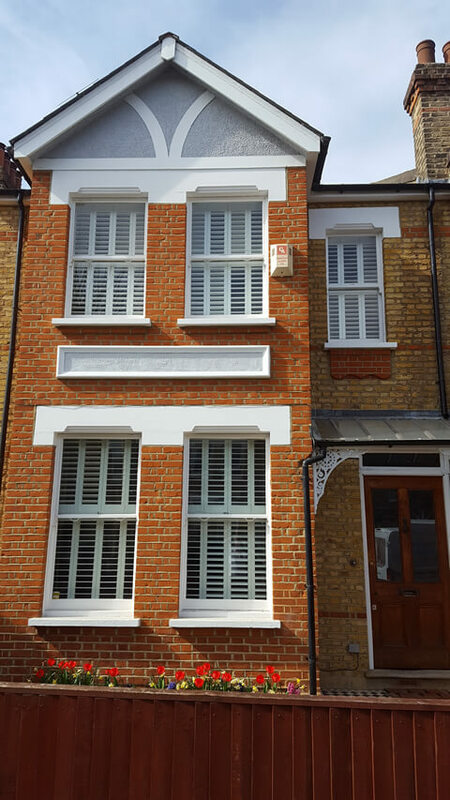 Using small louvres combined with a hidden tilt rods and the bifolding system created the ultimate mix of tradition and style, bringing an Edwardian home right up to date without compromising on the traditional feel that shutters create. This was one of the clients main aims to create a hybrid feeling of old and new as they had also created with the renovation of each room inside.